Join us during Ohio Brew Week’s Last Call festivities for a one-time-only, extra special return to Pepperland! Newly restored in 4K with 5.1 Surround Sound for its 50th anniversary, Yellow Submarine is a fantastic tale brimming with peace, love, and hope, presented today more complete and colorful than ever before. It is propelled by essential Beatles songs, including “Eleanor Rigby,” “When I’m Sixty-Four,” “Lucy in the Sky With Diamonds,” “All You Need Is Love,” and “It’s All Too Much.” When the film debuted in 1968, it was instantly recognized as a landmark achievement, revolutionizing a genre by integrating the freestyle approach of the era with innovative animation techniques. Yellow Submarine is part of Ohio Brew Week’s official Last Call celebration. 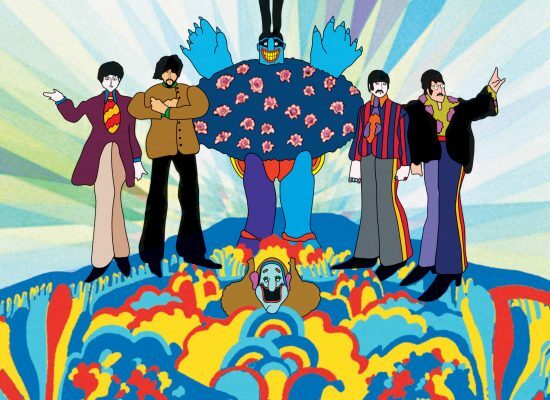 An endlessly inventive picture that blends 1960s psychedelia with such diverse styles as pop art and Art Deco to create the fantastical world of Pepperland and its bizarre inhabitants.